This zinc-clad mews house in London by Paul Archer Design looks like a two-storey home from the front, but actually contains four storeys inside (+ slideshow). 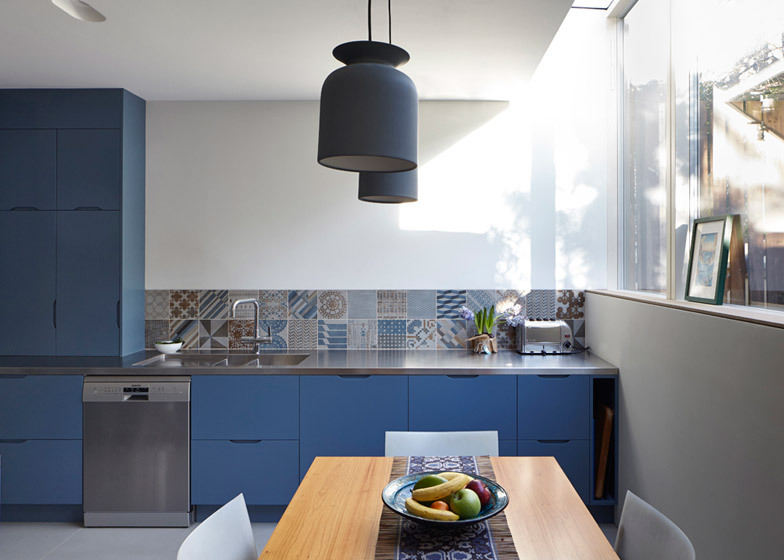 Day House by Paul Archer Design was built for a couple who previously lived in an apartment and wanted more space. It replaces a 1970s house in Islington, London, and sits within a terrace of mews homes that feature a mixture of architectural styles. "The owners bought the house knowing they were going to do some work, but it was only when we realised the extent of the work needed that it became clear we should replace it," architect Richard Gill told Dezeen. "It was built to 1970s standards, with thin insulation, and the roof was leaking. The stair was also poorly located and dark, going from the back of the house to the front," he added. Planning rules required the house to keep the same shape at the front, so the architects raised the roof height at the back and added a new basement to create more space. "It looks like a small building from the front, but inside it opens up. It is a bit of a tardis," said Gill. The new basement houses a guest bedroom and utility room, and the ground floor has a studio at the front and an open-plan kitchen and dining room at the back, which leads to a patio. The first floor has a living room, library and study, and the loft level has a master bedroom suite. The floors in the house have split levels, with rooms at the back set a few steps lower than those at the front in order to give them additional height. "The living room is about 3.4 metres tall, which is quite lofty," said Gill. 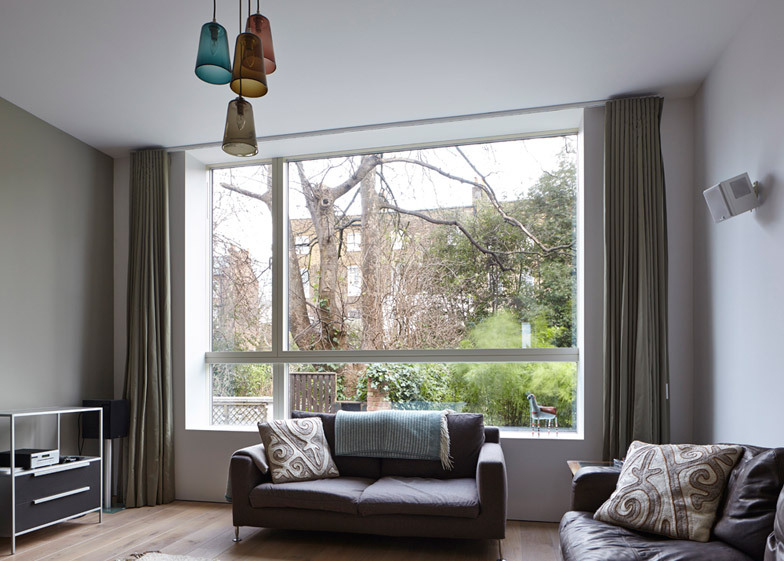 "In a standard developer flat, you would expect a height closer to 2.5 metres, so the spaces in this house feel quite generous." To create a more logical route through the house, the staircase was repositioned to lead from the entrance to the back. Previously occupants had to walk down a hall on the ground floor, then turn back to ascend stairs in the opposite direction. 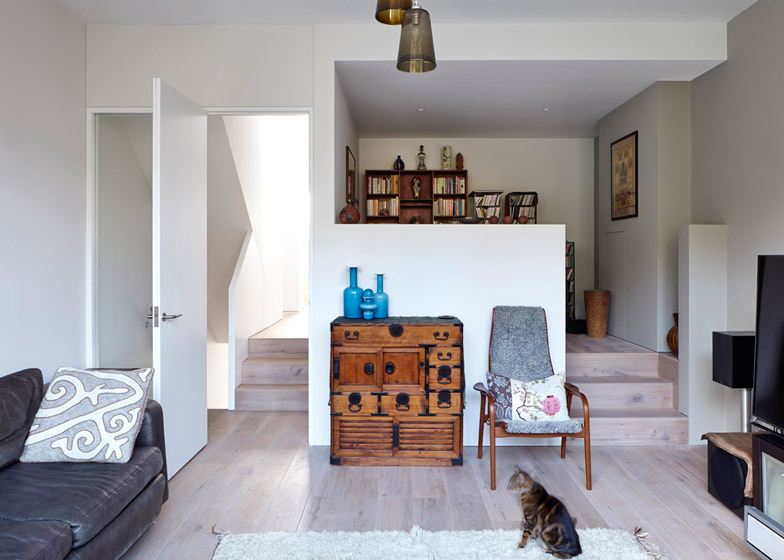 "Now, when you enter, you have a view through to the kitchen and patio on the ground floor, and a view up the stairs to the living space on the first floor, which lets in lots of light. It makes the house feel much more open," said Gill. The exterior of the house has been clad in green-coated zinc to distinguish it as a new addition on the street. Other houses in the terrace are clad in a range of materials, including timber, brick and aluminium. "The street originally formed part of the gardens of the grand Georgian terraced houses behind it," explained Gill. "The land was sold off, and in the 1970s people started doing self-build houses. Now there is a fantastic collection of individual homes there." The lightweight and malleable qualities of zinc make it a popular material for cladding. 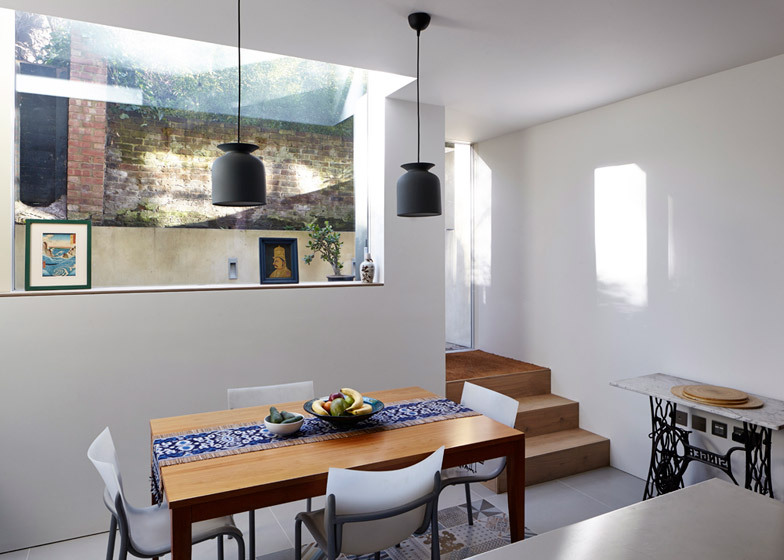 Other recent examples include an artist's studio with a diamond-embossed exterior and a terraced house in Edinburgh with a modern zinc-clad roof extension. Day House, which is 178 square metres, cost £524,000 to build, excluding fees. Tax rules to encourage the building of new homes meant it was exempt from VAT, which would have otherwise added 20 per cent to the cost. Money was also saved by retaining the existing brick party walls that separate it from its neighbours. To maximise energy efficiency, the home was designed to Passivhaus principles, which involved wrapping it from bottom to top in insulation. Acoustic insulation was also added between the house and the party walls on either side. "The owners like watching films and listening to music, so the acoustic insulation separates the house from the side walls, like a box within a box, so they can enjoy their home without upsetting their neighbours," said Gill. "One of the owners originally studied architecture, so she had an appreciation for detailing," he added. "She says the house feels open, but still quiet and secure – like a building that hugs you." Other homes by Paul Archer Design include a brick extension to a London house with a large circular window, and a house in Gloucestershire clad in polished aluminium so that it reflects its surroundings. Photography is by Andy Stagg.